Insider Monkey has processed numerous 13F filings of hedge funds and famous investors to create an extensive database of hedge fund holdings. The 13F filings show the hedge funds and investors’ positions as of the end of the third quarter. You can find write-ups about an individual hedge fund’s trades on numerous financial news websites. However, in this article we will take a look at their collective moves and analyze what the smart money thinks of Unilever N.V. (ADR) (NYSE:UN) based on that data. There was a 27% jump in Unilever N.V. (ADR) (NYSE:UN) ownership among hedge funds during Q2, as several funds opened new positions in the stock. One of the 10 Biggest Advertisers in the World, Unilever raised its dividend payments by 8% earlier this year, which is partly why the dividend aristocrat is one of the dividend stocks that Billionaire Ken Fisher is Bullish About, owning 4.21 million shares on September 30. Heading into the fourth quarter of 2018, a total of 14 of the hedge funds tracked by Insider Monkey held long positions in this stock, a 27% rise from the previous quarter. 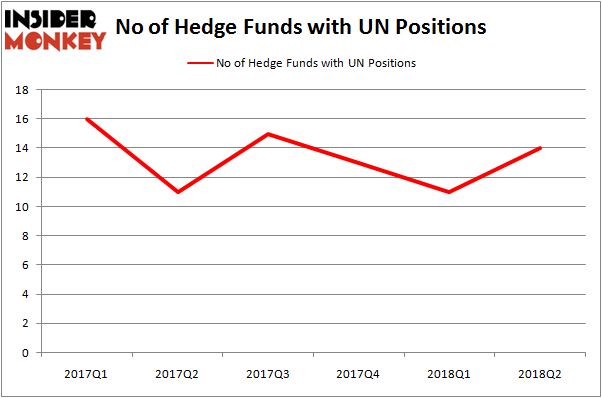 Below, you can check out the change in hedge fund sentiment towards UN over the last 6 quarters. With hedgies’ positions undergoing their usual ebb and flow, there exists a few notable hedge fund managers who were increasing their stakes substantially (or already accumulated large positions). 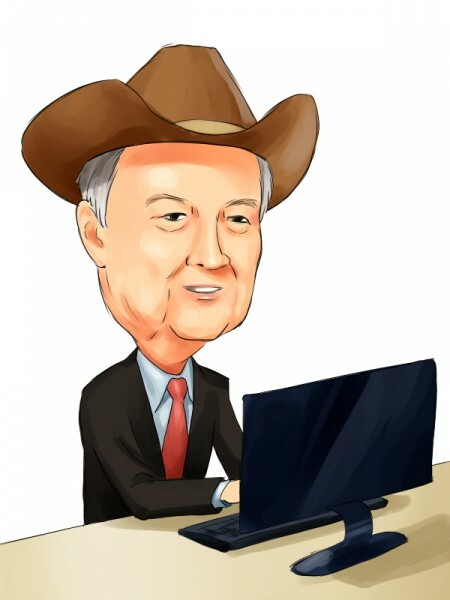 According to Insider Monkey’s hedge fund database, Tom Russo’s Gardner Russo & Gardner has the largest position in Unilever N.V. (ADR) (NYSE:UN), worth close to $833 million, corresponding to 6.1% of its total 13F portfolio. On Gardner Russo & Gardner’s heels is Fisher Asset Management, managed by billionaire Ken Fisher, which holds a $227.9 million position; 0.3% of its 13F portfolio is allocated to the stock. Other professional money managers that hold long positions consist of Scott Wallace’s Wallace Capital Management, John Zaro’s Bourgeon Capital and Donald Yacktman’s Yacktman Asset Management. As industry-wide interest jumped, specific money managers were breaking ground themselves. Ionic Capital Management, managed by Bart Baum, assembled a large new position in Unilever N.V. (ADR) (NYSE:UN). Ionic Capital Management had $0.7 million invested in the company at the end of the quarter. Richard Driehaus’ Driehaus Capital also made a $1 million investment in the stock during the quarter. The other funds with brand new UN positions are David Costen Haley’s HBK Investments and John Overdeck and David Siegel’s Two Sigma Advisors. Let’s also examine hedge fund activity in other stocks – not necessarily in the same industry as Unilever N.V. (ADR) (NYSE:UN) but similarly valued. These stocks are DowDuPont Inc. (NYSE:DWDP), BP plc (ADR) (NYSE:BP), Unilever plc (ADR) (NYSE:UL), and Comcast Corporation (NASDAQ:CMCSA). This group of stocks’ market valuations are similar to UN’s market valuation. As you can see these stocks had an average of 54 hedge funds with bullish positions and the average amount invested in these stocks was $3.75 billion. That figure was $1.17 billion in UN’s case. Comcast Corporation (NASDAQ:CMCSA) is the most popular stock in this table. On the other hand Unilever plc (ADR) (NYSE:UL) is the least popular one with only 13 bullish hedge fund positions. Unilever N.V. (ADR) (NYSE:UN) is not the least popular stock in this group but hedge fund interest is still below average. This is a slightly negative signal and we’d rather spend our time researching stocks that hedge funds are piling on.